Fabulous restaurant quality fish and chips made right at home! 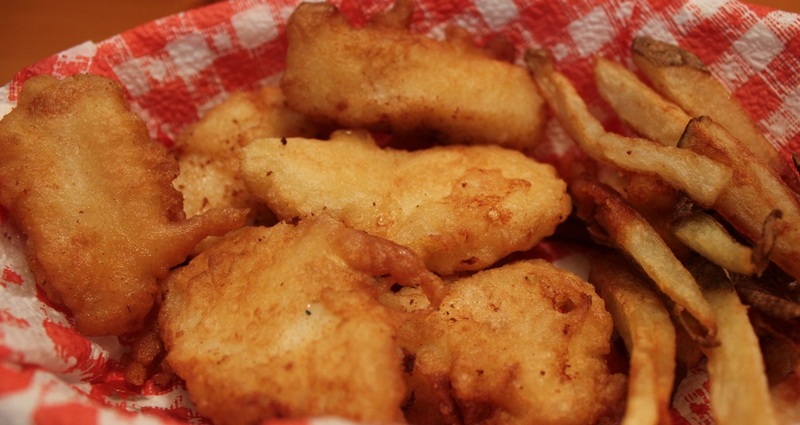 Make traditional french fries or make my Crispy French Fries to serve along with this delectable beer batter fish. Try my homemade Tartar Sauce to serve as an easy, great tasting condiment. In a medium size bowl, combine 1 cup flour and 1 cup beer. Using a fork, stir well until lumps are gone. Cover batter and set on counter for 2-4 hours. Add egg into batter mixture stirring well. Cut fish into 1-1/2 to 2-inch pieces. Place fish into batter, mixing well to coat all sides of fish. Heat 1 inch canola oil in heavy saucepan. Cook about 5 minutes or until golden, turning halfway. Blot cooked fish with paper towels, then place fish on a baking sheet and in a warm oven until all fish has been cooked.